April 8 was a gorgeous spring day in Chicago, and the perfect backdrop for our second annual Catapult Startup Field Day. 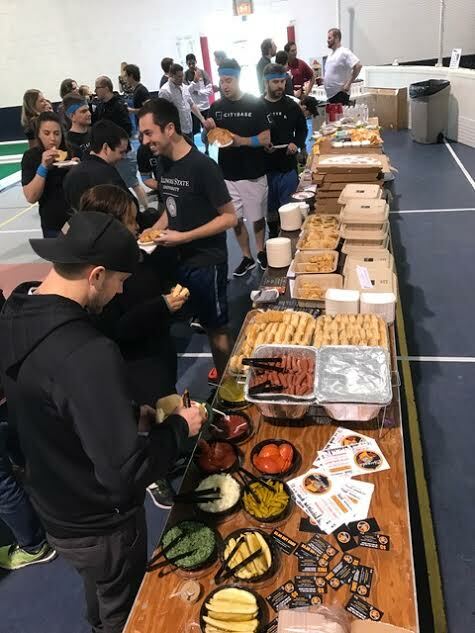 Over 200 people from the Chicago startup community gathered at the Windy City Field House for basketball, bags, and bocce tournaments. It was an amazing day, full of bag tossing, beer drinking, layup making, lobster mac & cheese eating, shop talking, bocce ball throwing, pizza devouring, and trash talking. We loved catching up with old friends and making new ones. We met spouses and gushed over their babies. We know of at least one job connection and saw plenty of networking. Thank you to everyone who competed or just came to hang out and cheer on the players. A giant thank you to our event sponsors and food/beverage providers who made the day possible: Foley & Lardner, CognosHR, PlanteMoran, Wintrust, Walker Sands, ServerCentral, JLL, AJG, American Bocce Co, Giftie, RXBar, Skinny Pop, Lagunitas. Of course, we could not have put together this event without All Sports Series. Holden and his team are rockstar sporting event organizers.